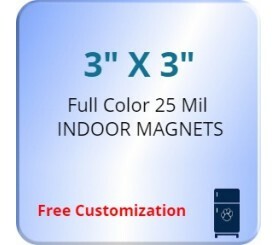 3x3 custom magnets 25 mil round corners are effective brand promotional tools. These magnets have rounded corners to stand out from the average sharp corner magnets. They easily stick to metal surfaces without causing any damage like a sticker or label might. Not only do these magnets get the message across, they look good while doing it! 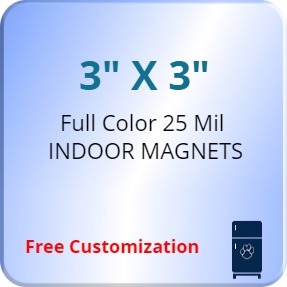 With a 3x3 printable area these magnets have ample advertisement space while maintaining a stylish and polished design. You can have these magnets printed with any custom design and/or message.